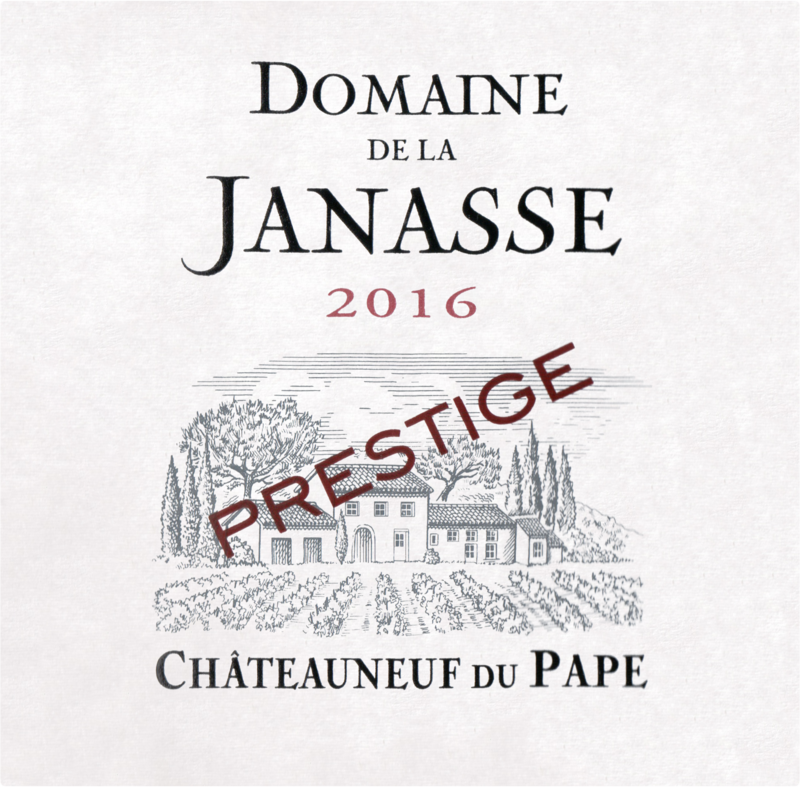 "One of the finest whites made in the vintage is unquestionably the 2016 Châteauneuf-du-Pape Prestige Blanc from Janasse. Based on 70% Roussanne, 20% Grenache Blanc and the rest a mix of varieties, vinified and aged in demi-muids (there are only two barrels), it has rock star notes of white peaches, caramelized citrus, white flowers, spice, and subtle tangerine-like exotic notes. 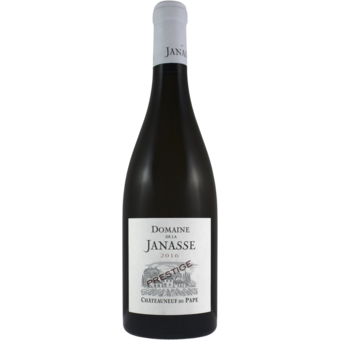 It’s a rich, medium to full-bodied, concentrated white that has vibrant acidity, perfect balance, and a great, great finish. There are few Rhône whites better than this beauty. Drink it anytime over the coming two decades." "The top cuvée that’s mostly Roussanne blended with small amounts of Grenache Blanc and Clairette, bought up all in once used demi-muids, the 2016 Châteauneuf-du-Pape Blanc Prestige had just finished fermentation at the time of this tasting. Possessing surprising acidity, terrific notes of lemon rind, orange blossom and white flowers, full-bodied richness and a great finish, it's going to be another serious white from this top-notch estate."